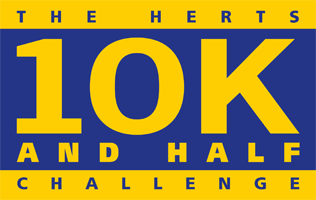 HERTS 10K Race Packs will be sent out before the race from September onwards, more information will be posted nearer the event day. The pack will include your t-shirt, timing chip, sponsor form and race number. Will there be photography on the day? The Rennie Grove team will be taking photos on the day, and Sussex Sport Photography will be taking photos of runners as they cross the finish line. Is there a minimum time to finish the 10k race? All runners and walkers must have passed the road closure point at 5K by 11.00. Both runners and walkers are able to take part in this 10k. You can view previous HERTS 10K race times here. 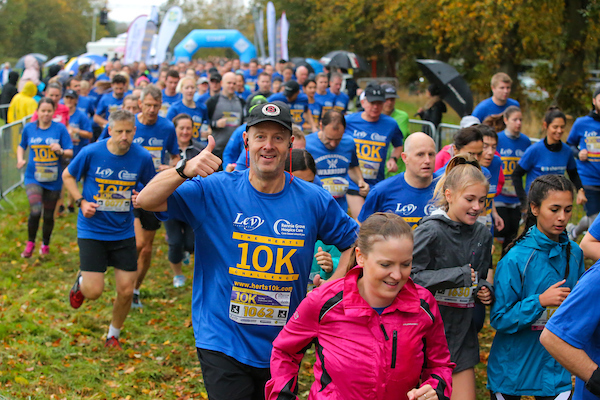 Rennie Grove Hospice Care relies on the generosity of the local community to fund around 87% of our £7.9 million annual costs, and fundraising events such as the Herts 10k are hugely important in helping us to reach this target. This year we are challenging all runners to raise £50. If everyone does this we can raise enough to cover the cost of four nurses for a year. Please note this event is to raise money for Rennie Grove Hospice Care only. If you prefer you can make a personal one off online donation to the charity. Can you give advice on how to raise sponsorship? Yes, please see the Raising Money page for more information or email the Fundraising Team on herts10K@renniegrove.org. Anyone giving sponsorship money who is a UK tax payer, should tick the gift aid box on your sponsorship form. This makes the donation worth more; an extra 25p for every £1 pledged. Harpenden train station has kindly agreed to runners parking in the east car park free of charge. Please download and print a copy of the parking permit to leave on the dashboard for identification. Harpenden town centre. 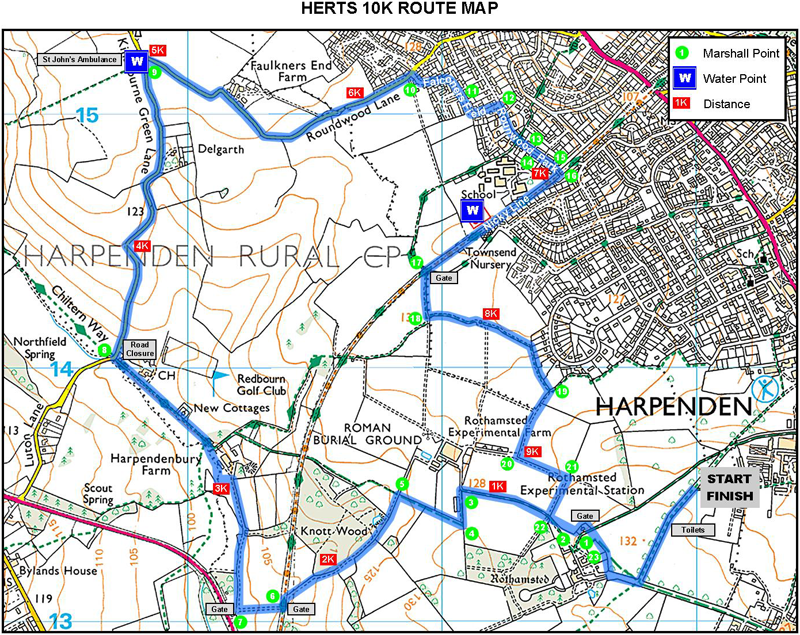 Please allow at least 15 minutes walking time to get to the START/FINISH line from Harpenden town centre. Sun Lane car park is free on a Sunday. Turn right at the roundabout as you head out of the town towards Luton – this holds around 75 cars. Amenbury Lane – Parking is available on the road which the leisure centre is situated on. Rothamsted Research, Harpenden, AL5 2JQ. Please click here to download the route map (PDF). Yes. 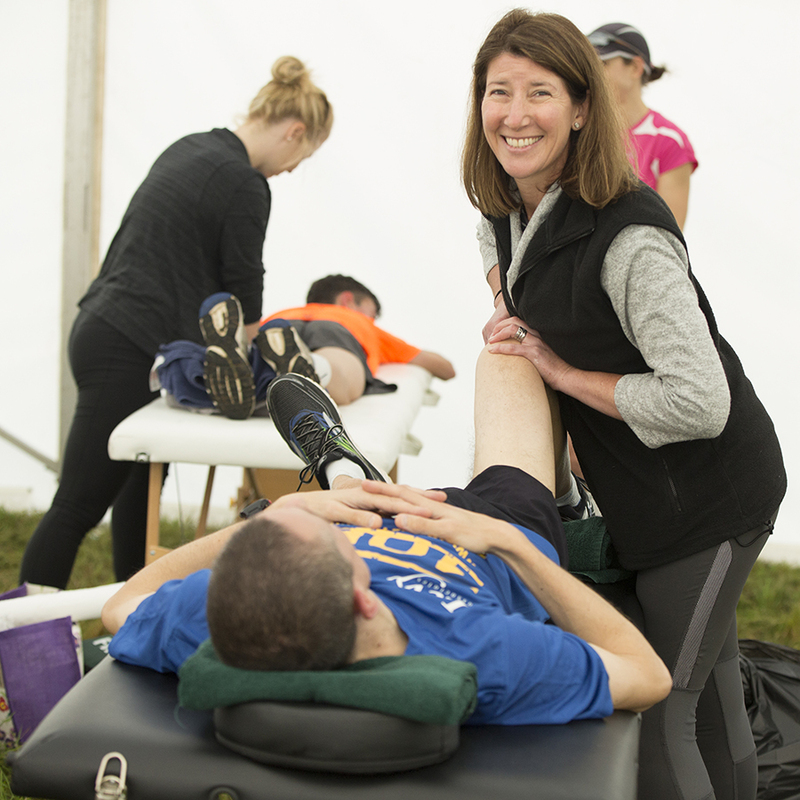 A first aid provider will be located at the start/finish area and will also be on route. Yes the route is signposted by Harpenden Arrows. There are km markers on the route as well as marshals to help guide you round the 10k course. Is this a chip timed 10k? Yes you will recieve your timing chip in your 10k race pack. Results will be available live at the time of the race online and to view after. This year we are joining forces with Magenta Storage in St Albans who will be providing a secure bag drop item for small items at the race. Further details will be available closer to race day. How can I sign up to be a volunteer at the HERTS 10K? We are looking for volunteers on the day and to help with preparation for the event. Please email us at herts10K@renniegrove.org. We would love to have you on board!